The redesigned and restored castle in the middle of the town is the centre of the Danube National Park Meadows and event center of the town Orth. 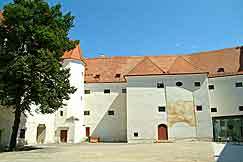 The medieval castle water was once the hunting seat of the Habsburg family. Now the castle presents itself in new splendor. It now houses the National Park Centre, the event center, which museum Orth and the Tourism Bureau of the market town of Orth. The visitor will find the National Park information with expert advice and the possibility to book tours. National Park shop and bistro invite you to linger and enjoy. The centre is a popular place for exhibitions and events, and is also the gateway to Au and to all the sights and gastronomic offers the community Orth. Tournament Yard, function room of the community are open all year round! Information, shop, bistro and Tournament Yard are freely accessible. 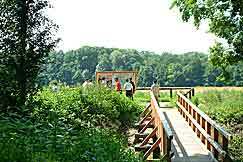 Right behind the castle Orth you will find the Castle Island, site of the Free Schloss Orth National Park Centre. 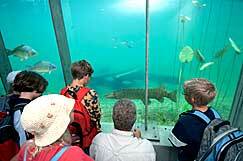 This walk-free area with underwater station and the habitats of animals and plants you can experience. 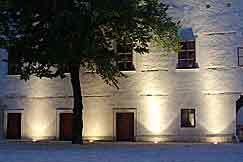 From the 1st May 2007 you need a ticket to visit Schloss Orth National Park Centre. A number of steps next to the castle, built in 1711 is the Marian column. 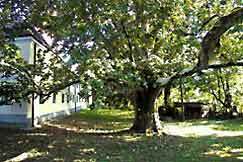 The high chestnut trees planted on the church yard gives you a wonderful shady place in the summer and invites you to a brief rest. 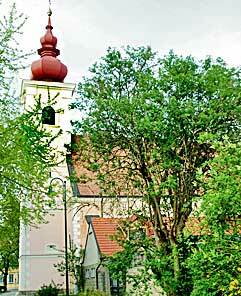 The parish gothic origin, received its present appearance in the Baroque period. Then follows the pillory, a symbol of the former jurisdiction of the church place finishes. The castle garden is dominated by a natural monument particular type: A giant tree, the beginning of the 19th Century was planted. 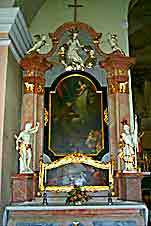 The "Gateway to the Au"
The notable parish church has its origins in the Gothic - its present appearance, however, she received the Baroque. 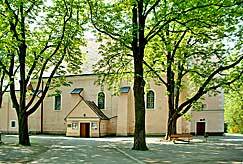 Outside the church is a beautiful place with beautiful chestnut trees, which gives shade in summer. The interior of the church with his intimate atmosphere - with the architecture works of different eras and the ornate frescoes - invites solemnly on internal reflection. 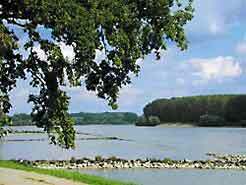 Orth has become a part surrounded by the vast and fertile field for the March typical fields and on the other part of the unique Danube floodplain. 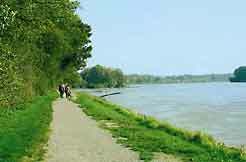 Marked bike and hiking trails lead to the Danube , where paths along the beautiful Danube invites you to walk along the learning trail in all its glory and leads to national park excursions to participate (in pre 02214/23 35-18, or message: 02212/34 50). For the young visitors the Shore House lawn an extraordinary playground in the form of a pirate ship can be found there. 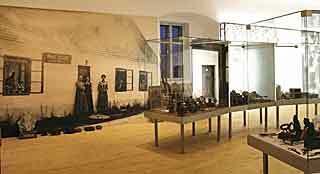 vom Uferhaus zum Schloss Orth"